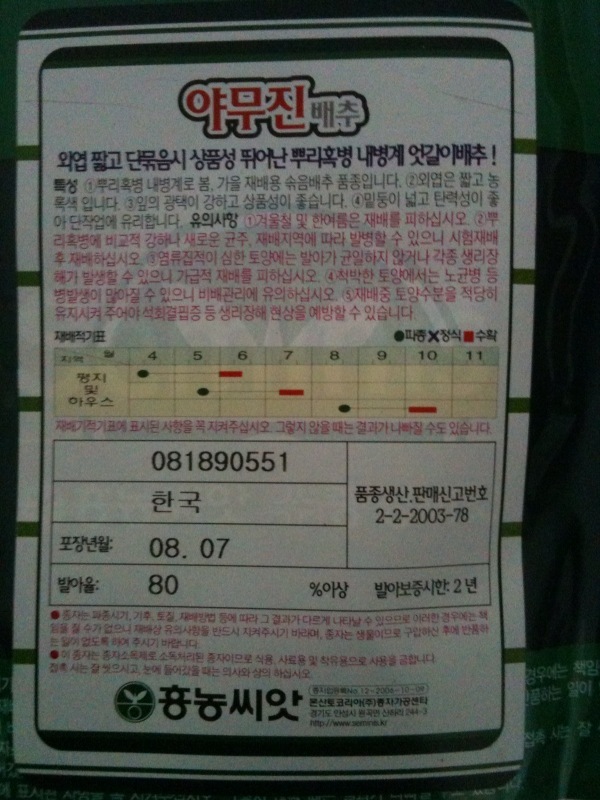 It says the characteristics of the seeds are.. The first black words are just saying how the seeds are strong against Clubroot and in good quality. 4. If you are using barren soil, fertilize it. The full circle means seeding, and the red square means harvest. > bought in Korea. I’m trying to figure out how to grow these seeds now. This entry was posted in Elaine, NaJeong, New York City, Seeds, Uncategorized. Bookmark the permalink.